iOS 7 beta has certainly been the hottest topic in the blogosphere over the past few weeks, and although some have been relatively pleased with some of the big changes Apple has made, others, notably Pod2g, have been less than impressed. While some iPhone and iPod touch users have been able to try iOS 7 through the Apple Dev Program, it’s likely that some, if only few Android users would love to give the new Apple OS a first-hand try. 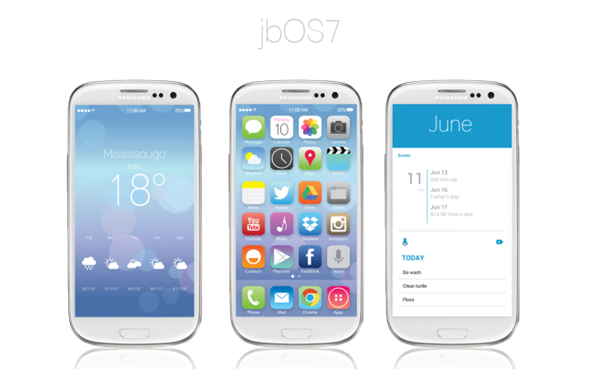 Since iOS, as we know, only runs on Apple-made devices, one group of individuals has come up with the next best thing; an iOS 7 beta skin for Android. Want in? Check out the details after the break! Of course, there are those ardent Android fanboys out there who’d see such a move as a form of contamination, but for others who may like to see what iOS 7 looks like without going out and purchasing an expensive Apple device, this is certainly as good as it’s going to get. The group behind the theme from team-shmo.com call it "jbOS7," or Jelly Bean OS 7, and having tested it out on our HTC One, it really doesn’t look too bad. It’s far from perfect, but as we’ve been hearing from the many beta testers of iOS 7, neither is the real thing, so if you wish to get a taster of the new firmware on your Android, why not give it a try? It will work with just about any decent launcher. The group behind the theme has showcased it using the popular Nova Launcher, but has also stipulated that it should work fine provided your particular launcher offers the standard array of customization options. All of the necessary files and instructions can be found within the Dropbox folder below, including fonts, icons and wallpapers. If you want the lock screen look, you will need to install Ultimate Custom Widget, which is a free download over at the Google Play Store. 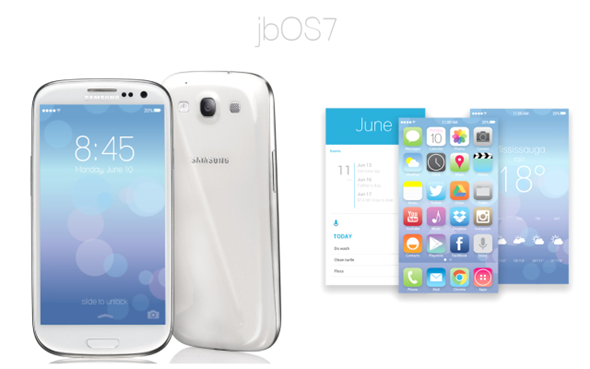 You can download jbOS7 from here. Download, install, and let us know if you like the faux iOS 7 look on your Android by dropping a comment via the usual mediums below!